Home / One Hunnit @one1hunnit - "City Lights" / One Hunnit @one1hunnit - "City Lights"
One Hunnit @one1hunnit - "City Lights"
Different looks, different concepts, and different sounds are just the ‘tip of the iceberg’ qualities that the next-up hip hop group, OneHunnit, will bring to the surface of southern rap. 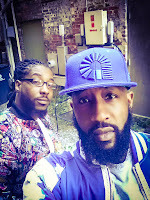 The dynamic duo, consisting of two talented non-biological brothers, Tommy ‘BAMA Mr. 16 Bars’ Borders, and Stacy ‘Flo Boy’ Jordan, next stop will be front and center in the music industry. Both artists came up with a true love for music, which contributed to them creating only the realest form of the art. After moving from Alabama to Killeen, TX to Fayetteville, NC, Bama, who formerly went by the name of Lil Bama, met up with his partner in music, Flo Boy, and the rest was basically history. Gathering the influences of artists such as: UGK, 8 Ball & MJG, Outkast, Bone Thugs-N-Harmony, and the Clipse, the two rappers have managed to form their very own unique ‘southern infused’ style of rap. The duo defines good music as something that listeners can relate to; something meant to be felt. ‘Music that can be felt’, is exactly what one gets, when they experience hearing the sounds of One Hunnit. 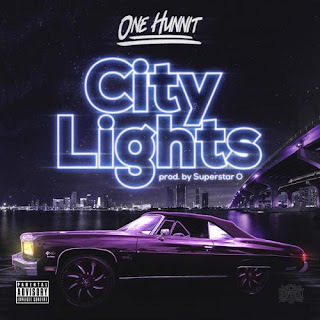 One Hunnit has gained the opportunity of opening up for many mainstream artists, such as: Fat Joe, Adina Howard, Mike Jones, Marcus Houston, T-Pain, and J-Cole, and their grind and ambition have only expanded for the better since those accomplishments. The group has graced the stages of Fayetteville University and even the MTV Lounge in ATL, giving nothing but professional stage performance and great music. Recently, One Hunnit released their hot new single, entitled, ‘Curry Sauce’, and their EP STRAIGHT LIKE DAT. Two artists who enjoy making real music, for real fans, while in the booth, sums up One Hunnit’s work motto in a shorter form.